There are several popular varieties of cocktail cherry. Most of them are bright enough to read a book by and sticky enough to become the candy of choice of any 5-year-old with a sweet tooth. No, not all cherries are created equal, so it’s worth doing some homework and buying the best. That would be Luxardo Maraschino Cherries! The first Luxardo Maraschino Cherries were produced at the Luxardo plant in Zara around 1905, and they were unique back then. 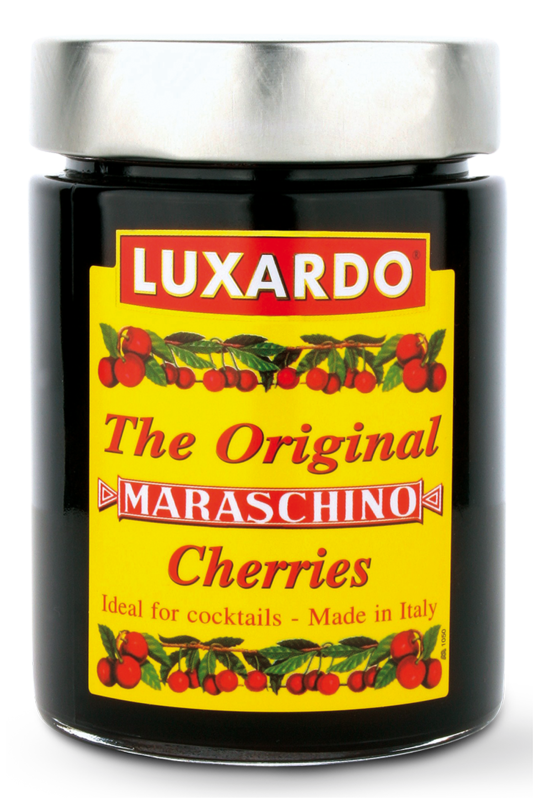 The Luxardo Original Maraschino Cherries are cherries processed and sweetened with Marasca syrup. This is made from cherries grown by Luxardo for distilling into its celebrated Maraschino liqueur. The cherries have long been used in patisserie and they are indispensable on high-end cocktail bars. The percentage of Marasca cherries in jars and tins is about 50%, the rest being that delicious syrup. One need not feel short-changed by this ratio. That syrup is prized as a sweet component of some mixed drinks, like a Sweet Manhattan cocktail. Just a teaspoon of this rich cherry syrup will make a difference. Try a drizzle over ice cream for an adult summer treat. It’s a marvel when stirred into whipped cream as a garnish to a chocolate cake. Talking of chocolate: these dark gems are perfect when dipped and coated in a glossy shell.